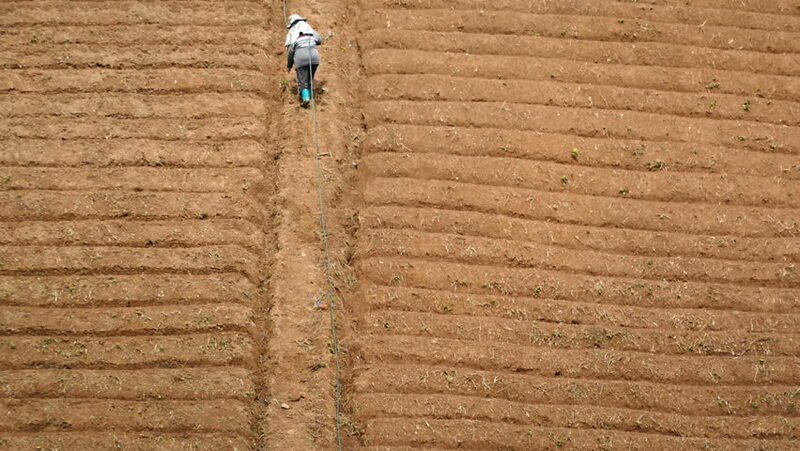 The villagers prepare for planting strawberry . To keep pace this winter and products to sell in the Asia market. hd00:20Farmer use cattle plowing dried land.